The official site for Movie 19 released the first trailer and unveiled new information about the upcoming movie. It has been confirmed that the movie’s official English title is Sunflowers of Inferno (業火の向日葵, Gouka no Himawari). A certain world-famous painting was to be auctioned at an auction house in New York frequented by the rich. The piece of art was one of van Gogh’s ‘Sunflowers’, a masterpiece thought to be destroyed in Japan. Jirokichi Suzuki fights off all bidders by putting forward $300 million to buy it, stating that he intends to collect all seven of the ‘Sunflowers’ paintings that are scattered around the world. 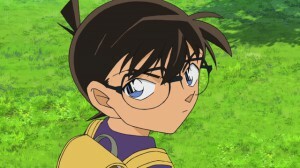 It will be given its greatest exhibition ever in the Japanese museum ‘Lake Rock’, which boasts iron-clad security, he announces live on worldwide news being watched by Conan and Ran. He has collected seven specialists known as the ‘Seven Samurai’ to protect the Sunflowers, but just as they are about to appear, Kaitou Kid suddenly shows up! He declares war, stating that he will steal the painting no matter what, before vanishing. Why would Kid make such a statement when he usually only goes after Big Jewels? 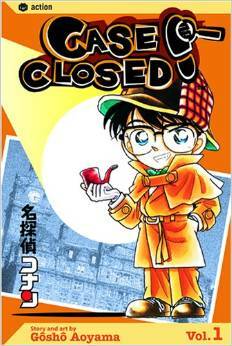 And just as everyone starts to panic, a high-school detective appears on the scene, having heard rumors of Kid’s appearance: Kudou Shinichi. As previously reported, the movie will open on April 18th, 2015 in Japan. Detective Conan Episode 758–“The Comedian Who Turned Himself In (Part Two)”–is now available to stream here on Crunchyroll. The video is available to both subscribers and non-paying members alike. Detective Conan Episode 757–“The Comedian Who Turned Himself In (Part One)”–is now available to stream here on Crunchyroll. The video is available to both subscribers and non-paying members alike. 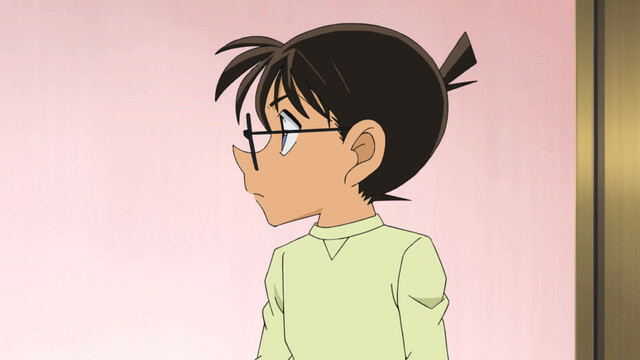 The new opening song, “DYNAMITE” by Mai Kuraki, makes its debut in this episode. After a long wait, Detective Conan is finally making its simulcast debut! Episode 754—”The Tragedy of the Red Woman (Steam)”—is now available for viewing on Crunchyroll’s website, complete with English subtitles. To watch the episode, click here. New episodes will be added every Tuesday at 3:00 PM EDT. Detective Conan episodes on the website are available in SD, 480p, 720p, and even 1080p (with HD options reserved for subscribers). You may begin a free 14 day trial of their premium subscription service here, which costs $6.95 a month and includes HD and subtitled access to all of their anime offerings without any advertisements. Given the great deal of speculation surrounding this point since the original announcement, we are pleased to confirm that the Crunchyroll subtitles do retain the original Japanese names, the Japanese episode order, and Japanese honorifics. This is the first time in years that there has been an officially-subtitled Detective Conan episode, so should you wish to see the series become a success and continue indefinitely, please show your full support. Tell your friends that may be interested and consider adding a review for the series on Crunchyroll’s website. This website does not host, distribute, or in any way aid in the dissemination of anime fansubs or manga scanlations. Accordingly, we are not in any way involved in the production of either. As a result, we unfortunately cannot offer any help or advice on where to find such materials. We likewise ask that you please do not discuss or request these materials as we simply have no information that you do not. 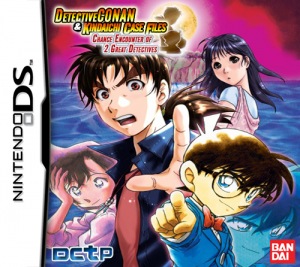 The Nintendo DS crossover adventure is now available in English for the first time, from DCTP. Click HERE to begin playing and click HERE to discuss the project on the forums. The English version can be found in traditional paperback & digital formats from Amazon and numerous other retailers. Click here to visit the Case Closed portal on the VIZ website, on which you may see comparison prices between various retailers for both physical and digital editions.